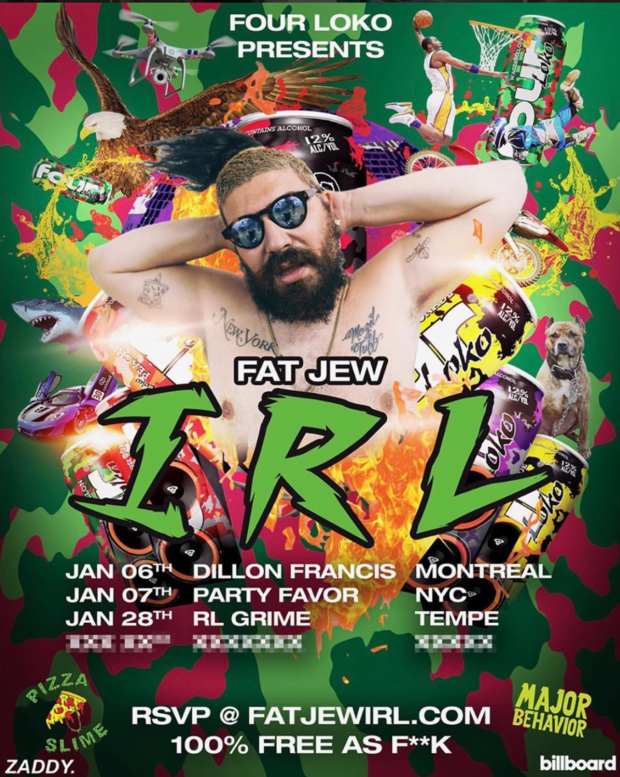 Four Loko and Fat Jew are teaming up to present the second annual IRL Fest, a unique music festival experience coming to four locations- Montreal, Tempe, New York, and a surprise city beginning January 2017. The tour also kicks off Fat Jews' band Major Behavior, which was formed in homage to Major Lazer. The tribute band is comprised of The Fat Jew and New York DJ Maachew Bentley. Major Behavior will be celebrating the most legendary electronic group of all time, Major Lazer, through music and experience. "My music festive called "IRL" is back for Year #2. Free entry, free drinks, free best DJ's in the world, free broken iPhone screens, free making out with strangers, free annoying Snapchat stories, free unexplained bruises the next day, free everything" - Fat Jew. "In 2016, our partnership with Fat Jew IRL brought the fans of EDM and Four Loko some of the weirdest and epic parties we'd ever thrown. In 2017, we are not only bringing the tour back but making it bigger and better." - Jenna Shklyar, VP of Marketing at Four Loko. The festival will include a DJ set by Pizzaslime, who will also be selling co-branded Four Loko merch at each location. Billboard will be covering each party which will all be 100% free af. For more information please visit fatjewirl.com. Phusion Projects, LLC, is a Chicago-based multi-brand alcoholic beverage company that sells products including Four Loko, Moskato Life, and Earthquake, both domestically and globally. Since the company’s inception, Phusion Projects has encouraged fans to unfold their own Four Loko story, while being committed to operating as a responsible member of the alcoholic beverage industry. 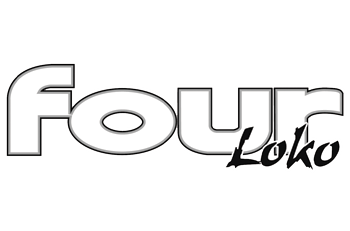 To learn more about Phusion Projects products, please visit www.fourloko.com.